f you’re a producer, you likely pay close attention when noteworthy film festivals post their schedules. Among other things, you’re probably looking for the best up-and-coming directors for your own project slate. But with so many competitions and filmmakers, we know how hard it is to narrow down candidates that might fit a specific project. That’s why we made this list: to recount the best and brightest up-and-coming directors working today, broken into the genres they have excelled at. We also included direct links to their IMDBPro pages so that you’ll be scheduling your meetings in no time. Get a glimpse at the best filmmakers on the rise and, as an added bonus, a handy way to manage contacts as you go. Sean Baker’s masterful The Florida Project follows families who live in a discount motel near Disney World. Three children form a friendship as their families struggle, or run from, the harsh realities of getting by. With Florida Project, Baker once again proves himself a maverick at finding poignant (and often funny) moments amongst the harsher realities his characters face. He extracts startlingly real performances from his cast, young and old. Its young star, Brooklyn Prince, won the Critics Choice Award for Best Young Actor / Actress. And Willem Dafoe earned an Academy Award nomination for Best Supporting Actor. Samuel Maoz is a Venice Film Festival Golden Lion recipient who released his controversial film Foxtrot last year. It’s about a couple who lost their son and contemplate his final days as a soldier. It was praised for its interjections of satire, animation, and heart-warming romance into its dark subject matter. Chloé Zhao’s second feature, a slice-of-life drama called The Rider, opened to wide acclaim at Sundance. The story concerns a successful rodeo rider who comes to grips with a career-threatening injury. It was praised for its confident filmmaking and subtle handling of its subject. With Sweet Country, Australian filmmaker Warwick Thornton delivered a stripped-down story about an Aboriginal farmhand who is hunted after killing a white man in self-defense. It won awards at the Venice Film Festival and the Toronto International Film Festival. First-time director Andrew Heckler’s unflinching Burden takes a hard look at the Ku Klux Klan. Its story concerns a young man in a small town who fights to break free from his racist mentor. Heckler is a former actor himself, and his work with his cast (including Forest Whitaker, Tom Wilkinson, and Garrett Hedlund) has been well-received. Geremy Jasper made a huge splash at Sundance last year with his film Patti Cake$, about a rough-and-tough Jersey girl who dreams of becoming a successful rapper. As a younger man, Japser himself was a musician (he played in the indie rock band The Fever), and his Jersey roots brought further authenticity to the world he created in Patti Cake$. Watching The Love Witch is fascinating, because it’s almost indistinguishable from the 1960’s exploitation films it parodies. Its loving recreation is what makes Anna Biller such a fascinating filmmaker: she’s really detailed. She wore many hats on this film, including writer, director, costume designer, editor, producer, and production designer! Biller tells her tale of a vengeful young witch with lush imagery and over-the-top performances. It invokes the look and feel of old Technicolor films and creates a challenging statement on gender politics. From the Old West to the internet urban legends, these sibling-filmmakers spin absurdist comedies from American mythos. Their new film, Damsel, focuses on a kidnapping in the Old West, and brings Wild West comedies like Blazing Saddles back into vogue. In addition to acting in such acclaimed films as Blue Ruin, Green Room and Logan Lucky, Macon Blair is also a gifted filmmaker. His film, I Don’t Feel at Home in This World Anymore, received rave reviews for its three-dimensional characters and its darkly comedic observations of modern America. When he’s not directing big-budget music videos for Taylor Swift and Lady Gaga, Joseph Kahn shoots off-the-wall independent films. His newest, Bodied, is an in-your-face look at the world of freestyle rapping, and was produced by none other than Eminem. With Raw, Julia Ducournau blended a coming-of-age story story with a brutal cannibalistic horror film. Under her taut direction, the twists feel genuinely shocking. So much that people reportedly fainted during screenings in Toronto. The horror! Like Ducournau, David Robert Mitchell built It Follows out of sincere coming-of-age pathos and seriously scary moments. He wears his influences on his sleeve (from John Carpenter to Gregory Crewdson), and exhibits a talent for getting visceral reactions out of his cast. Panos Cosmatos broke new ground before he took Sundance by storm this year with his ultraviolent Nicolas Cage thriller Mandy. His debut, Beyond the Black Rainbow, is an uncategorizable masterwork of retro-horror, whose influences can be seen in everything from Stranger Things to Ex Machina. With It Comes at Night, up-and-coming director Trey Edward Shults reached a new level. Like the best horror directors, Shults took an intriguing premise and bolstered it with utterly real characters and scenarios that are painfully relatable. Joel Potrykus’ films explore millennial slackers with delusions of grandeur. With The Alchemist Cookbook he crafted a full-blown psycho-horror about a wannabe alchemist who sets up shop in the woods. His auteur sensibility combines dry, pop culture humor with observational, fly-on-the-wall perspectives. As you go through “Top 10 Directors” lists and the like, you probably do a lot of copy-and-pasting into GoogleDocs or spreadsheets. But if you’re managing multiple projects, and multiple workflows for those projects, it’s important to centralize your workflows as much as possible. 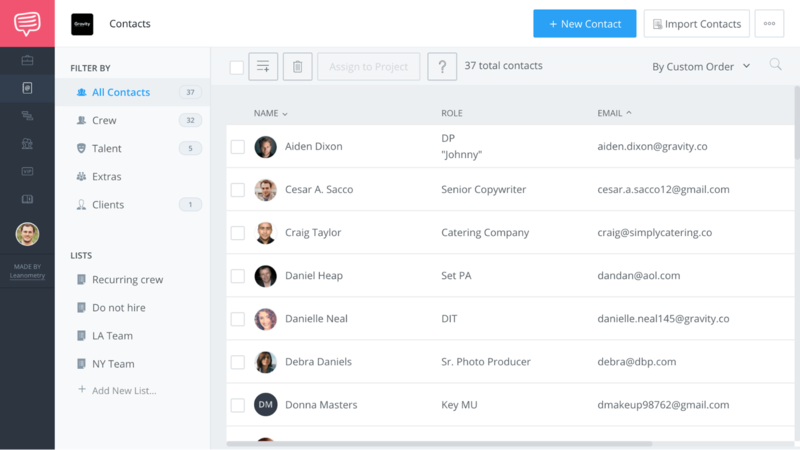 Using a production management software will centralize your contact list, so you can assign contacts to multiple projects on your slate. It also integrates your contact lists with an end-to-end, collaborative workflow that spans from script breakdown to sending out your call sheet. Streamlined contact management in StudioBinder Production Software. So it’s never too early to start logging prospective cast and crew -- even if you don’t have financing yet. Ana Lily Amirpour first excelled in the horror genre with A Girl Walks Home Alone At Night. Then, with The Bad Batch, she took a bite out of the survival thriller. Set in a Mad Max-esque desert wasteland, the story concerns a social outcast who must literally fight for her life. Amirpour wields a strong visual flair and an appetite for destruction on par George Miller’s. This timely thriller was a Midnight selection at last year’s Sundance. Its story concerns a neighborhood in Brooklyn that is rocked after militia group declares civil war. It was praised for its solid execution on a low budget, and its solid performance from Guardians of the Galaxy actor Dave Bautista. Jalmari Helander is a Finnish director who is known for making imaginative, absurdist genre films. His films have featured a bloodthirsty Santa Claus (Rare Exports), and a US president hunted by a band of terrorists (Big Game). If your project is at the intersection of visceral and surreal, Helander is among the best up-and-coming European action directors today. 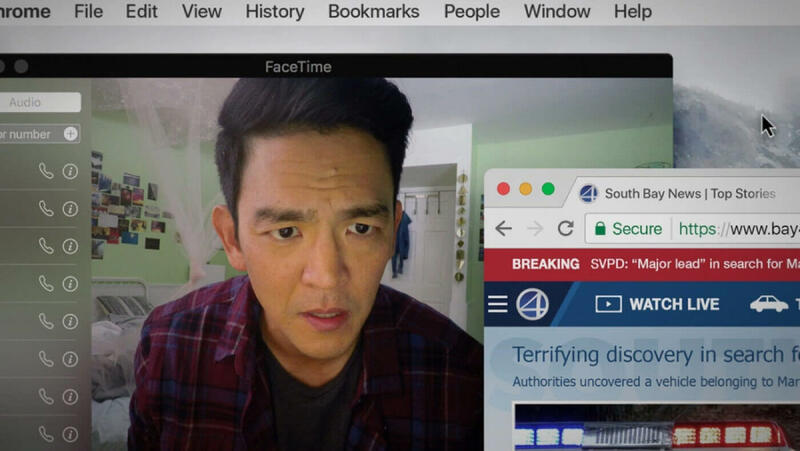 Aneesh Chaganty’s much-buzzed Search has a killer hook: its whole story transpires on computer screens. 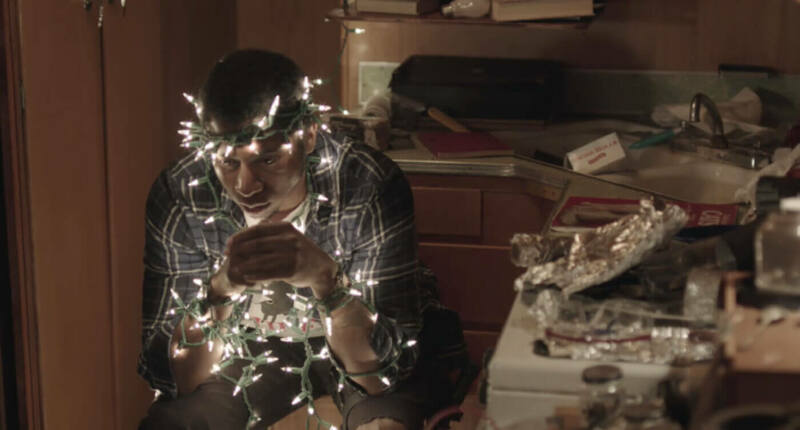 The film took the Alfred P. Sloan Feature Film Prize at Sundance, and was praised for its character development amongst its experimentations. Of course, finding the right director for your project isn’t always as straightforward as who has excelled in a particular genre. The best up-and-coming directors today have invaluable perspectives and world-views that span across multiple genres. Jonathan Demme, for example, was known for comedies, dramas, and music documentaries before he made Silence of the Lambs a modern horror classic. But hopefully this list of best up-and-coming directors helped you beef up your contact lists with a few folks with the right perspective for your own projects. Now get excited! After many phone calls and lunches, you’ll soon cross off “hiring a director” from your pre-production checklist. Go make your director an offer they can’t refuse!